I apologize in advance for the length of this article. My intentions are to put the truth out there. I realize this will anger certain individuals, but these are my honest opinions and views on the subject. 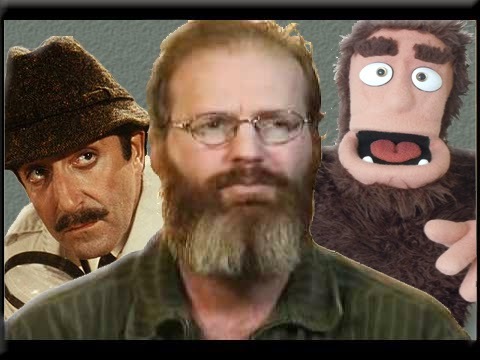 The recent lawsuits in the bigfoot community have struck a cord with me. My line of work involves me in copyrights on nearly a daily basis. I'm sure some will think this is just another short-lived blemish and everyone should get back to bigfooting. Those individuals are partially correct, however these lawsuits, one in particular, are very serious and should impact everyone. Possibly even the future of the field of research. In a field where evidence should be shared freely to reach the common goal of the TRUTH, we now must face the facts that anyone at anytime could become the victim of a fraudulent lawsuit over the sharing of that information, or the expression of our opinions. While most rational people stick to looking for bigfoot in the wooded areas of the world, it seems recently an easier place to find the creature of lore is in a court of law. What used to be bantering back and forth and heated debates on bigfoot forums, has turned into lawsuits and litigation. We, unfortunately, live in a day and age where lawsuits are thrown around frivolously, and the only way to see someone's supposed "earth-shattering" evidence is to sign a non-disclosure agreement. In my opinion, this is both ridiculous and repulsive. Unless someone has done you specific harm, is it really worth it? Do you honestly feel the United States Judicial system is in place to punish people who disagree with you on the subject so unimportant in the grand scheme of things as bigfoot? Don't take me wrong, I am a serious bigfoot researcher, but I'm also an adult who can rationalize that not only will people disagree with me on the subject, I can also choose to ignore them. I've been involved in my fair share of arguments and disagreements in this community, some of which reached very personal and hurtful levels. But so what? Would I be willing to take those individuals to court over it? Of course not. In my opinion that is crossing the line from words on a computer to messing with someone's personal life and well being. In my opinion it takes a real low life to stoop to the level of making a mockery out of the court, and seeking legal and financial gain over a subject such as bigfoot. Take note, I'm not some anonymous blogger supposedly hiding my identity out of cowardice. Perhaps those anonymous bloggers are hiding their identities to keep from being ignorantly and wrongfully sued by what appears to be vindictive individuals that will do whatever they can to punish someone for making them look stupid in the public eye. NDA's have become fairly common in the bigfoot world, but why do we need these legal contracts in this field? I believe people desire so much to be "in the know" that they tend to leap before they look. In this community the only reason someone should have for requiring an NDA is if they intend to make money off whatever it is they have. If they want you to sign a contract stating that you will not disclose any information about what they show you, chances are they would lose money if people really knew what they had. What else would the purpose be? If you have clear and up-close video footage of a bigfoot, who else do you think has the same degree of footage, and how would it impact what you have if they did? Even if you intended to make money off of it, wouldn't you gain to make more if people publicized that you had the real deal, thus making more individuals all that eager to purchase your video? The odds are that if you are signing an NDA to view someone's evidence, their evidence isn't worth the paper the agreement is printed on, and THAT is what they do not want you telling everyone. Non-disclosure agreements should have a purpose clearly stated, expressed guidelines as to what you can not share publicly, stipulations listed to those rules, expressed directions on how to protect that information, and a time period that the NDA is in effect for. If the NDA is for an indefinite amount of time, do not sign it. Showing up all over the place is the headlines that DW (Darkwing) Lee has lost a suit in the amount of $1,163,724.70 to bigfooter John Phillips and family. Congratulations John, you are now a millionaire. The truth behind this is a little different however. Randy Harrington, DW Lee, and various others including the entire organization of the MABRC were sued by Mr. Phillips and his family. According to the actual court documents, all of the proceedings were dismissed with prejudice except for the charges brought forth on Darren Lee. This isn't because Phillips was able to prove that DW was guilty, it was because Lee did not show up for court. Failure to appear means you are not arguing the charges against you, so the court found in the favor of Mr. Phillips. Of course detractors of the MABRC organization and Darren Lee won't mention that aspect of it. You can read all that information for yourself at the link below. The thing about this lawsuit is it all started long ago over differences of opinion involving a photo of a supposed bigfoot. After years and years of going back and forth after one another, it eventually escalated into the above mentioned lawsuit. The fact of the matter is, from my own personal observations, as well as the observations of countless others, it seemed both sides were equally to blame. It could have just been left alone, but it wasn't. Was it worth it to keep on going? To get that last word? To make the other one look like the enemy? Well, for now, one party obviously thinks so. Even if they had as much of a hand in it as anyone else. I've seen many arguments and events take place in the bigfoot community. I would even dare to say I've been involved in some of the larger ones. This lawsuit however is the most absurd thing I have witnessed in the bigfoot community since my involvement began 13 years ago. For the most part, I didn't know much about this lawsuit until I started looking into it myself. What I found left me absolutely dumbfounded. Let me run down a list of facts and events surrounding the case. Melissa Hovey receives a self admitted anonymous photo of a supposed bigfoot. Melissa Hovey sits on photo for years, and eventually reaches the conclusion that she "owes it to the bigfoot community" to release the photo, against the wishes of the owner who she no longer was in contact with. Prior to the release of the photo, Hovey fraudulently files a copyright on said photo, which she doesn't own nor has legal permission to do so, with the United States copyright office. Individuals immediately start pointing out faults in the photo, leading most to the conclusion that the photo was most likely a hoax. 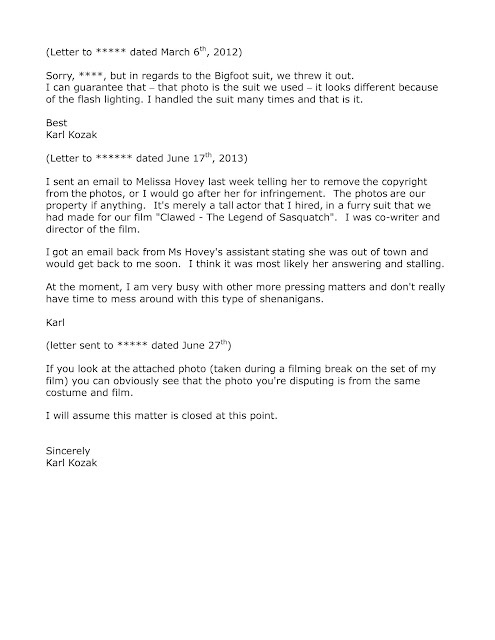 Melissa Hovey fails to find the true source of the photo, as well as the anonymous individual who sent her the photo via email. Numerous individuals post the photo on their websites, blogs, and videos. Melissa Hovey posts photo with DIFFERENT copyright information, claiming copyright under the American Bigfoot Society. Phil Poling posts a parody video on YouTube with a still of the photo containing a comical made up copyright at the bottom of photo, referencing a 1973 Science Fiction cult classic known as "Soylent Green". Melissa Hovey files DMCA complaints with YouTube resulting in the automatic removal of the videos. Poling files counter-notice, which results in the videos being returned after being reviewed by YouTube. That should have been the end of it, right? Any rationally minded adult would think so, but unfortunately this event falls WAY outside the realms of rational thought. 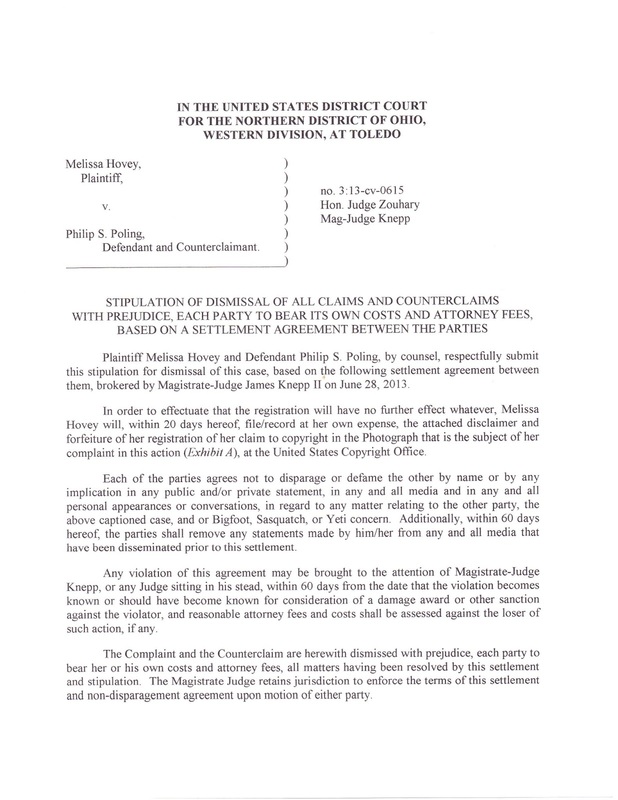 Approximately a year later, Melissa brings forth legal action against Mr. Poling on the grounds of copyright infringement. Copyright infringement for a photo she fraudulently copyrighted, had absolutely no legal ownership of, had no idea what the source of the photo was, and lost absolutely nothing due to the actions of Mr. Poling, who was just one of many individuals publicly speaking out against the photo. Since day one, Melissa Hovey has stood by her convictions claiming she would protect the identity of her witness at all costs. As far as I'm aware she has no idea who that witness even is. The anonymous source told her he was sending the photo to her in confidence, as he had decided she was a reputable researcher, one he could trust. The truth is Melissa was nothing more than a target. In fact Tom Biscardi had already received the photo long before Hovey, and had immediately dismissed it as an obvious fake. When he didn't take the bait, they sent it to Hovey, who took it hook, line, and sinker. This photo could have come from anyone. It could have come from Rick Dyer. It could have come from the Bigfootery Enquirer. Nobody knows for sure. Or do they? Hovey sought legal retribution against Poling to the sum of $75,000. How she came up with that figure, I have no idea. I fail to see how Poling stood to make one single red cent on the photo itself, if Melissa ever had legal rights to the photo, which she didn't. I also fail to see how Poling's actions could have cost her $75,000 in losses. But hey, if you sue someone over the satire presentation of a photo you don't even know the source of, let alone own yourself, I guess $75,000 is as good as any other number. Recently the results of the lawsuit became public record, showing that the case was in fact dismissed with prejudice. Melissa Hovey, who has mentioned numerous times that she is a paralegal, failed in her lawsuit actions against Poling. 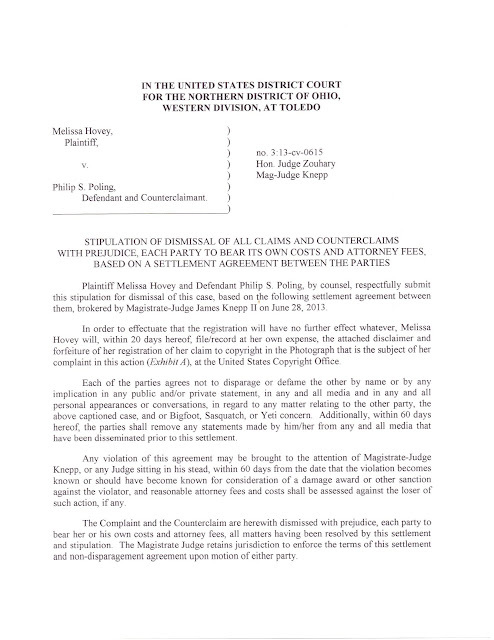 Poling was found guilty of absolutely nothing, and Hovey has been court ordered to remove all previous defamatory statements against Mr. Poling, as well as remove her copyright from the photo, as she has no legal rights of ownership. Phil Poling was also ordered to remove defamatory content against Hovey from the Internet, which I was unable to find any at any time I was looking into this. Melissa removed her content involving Poling from her blog sites just recently. Looks like an "anonymous" blog mirroring the defamatory information in regards to Mr. Poling that was contained on Melissa's blog. But I'm sure Melissa has no idea who is responsible for this site, thus being out of her control. Since Melissa is so outspoken in her views regarding anonymous blogs, she will do her best to find out who is responsible for this site, and have it immediately removed. I thought Hovey knew who send the photo? An opinion you are entitled to voice without fear of being hit with a vindictive lawsuit based on false allegations. According to all accounts of what I read in the past, Hovey knew but would not disclose the name of the photographer. Also, It was my understanding that the costume makers from Clawed denied making the costume and the pics of the Clawed creature did not remotely resemble a living creature. According to prior articles, Hollywood costume designers stated that the Hovey pic would require in excess of $250,000 to replicate if in fact it was an elaborate hoax orchestrated by someone with the financial resources to create. Who knows what the truth is. 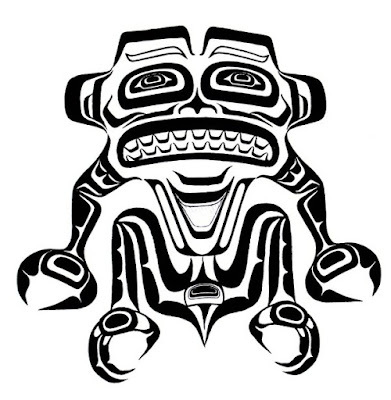 As a casual observer, the 'Clawed' creature does not look like a living animal. It is obviously a costume. The Hovey pic (considered how limited the pic detail provides) looks very realistic. The only thing that looks like an obvious fake is a letter addressed by a man who states that he is from a professional film crew yet is doesn't have a letterhead,etc. In summary, the Hovey pic that is supposedly a fake looks very authentic. The Clawed movie looks like a cheap costume and the letter from our Hollywood makeup artist seems very unprofessional and fabricated without an attached signature. Probably everyone is lieing. People like Hovey and incidents like this are why its 2013 and Bigfoot is still yet to be proven real. Not saying the article is made up, but the correspondance looks as fake as can be. Please post the Hovey photo and the 'Clawed' photo side by side for a true common sense comparison. They do not remotely resemble each other. Has nothing to do with the lame excuse used by the fake emailer as different lighting. The correspondence letter posted involving Mr. Kozak was not the actual documents, it was just a copy of the responses he gave. His email address, to those that know it, can be determined from the edited version I gave to prove that it is in fact the real Karl Kozak. There was not just one single costume used in the movie. It is common practice in most movies to use multiples built and designed for different filming situations and purposes. The photo appears to be that of a partial costume, or mocked up bust, possibly used for over the shoulder shots, or for set light metering on set. Or it could be nothing of the sort. It could be the real thing. Perhaps Kozak is entirely wrong or making the entire thing up. The photo and what it contains doesn't matter. People need to realize that. The lawsuit was not about what was in the photo or if it was authentic or not. The lawsuit was over copyright infringement of a photo that was not legally owned by the person filing the lawsuit. Anonymous 10:13 pm - BULLSEYE! The point is this, put both images side by side. Plus, who put the photo out first with a date code. Mr.Kozak appears to be the monster here, all this bull and no pictures side by side to compare. Maybe photo given to Mellissa was set to her by Kozak to advertise his unseen crap movie. Dates will be the truth in a copywrite infringment. Thats my take on this issue, til a side by side image is shown. Sasdave over and out.